January 2015, our first meeting of the New Year and so much to look forward to. We had a very good attendance and some new members who are very welcome as they bring new ideas and experience to our chapter. 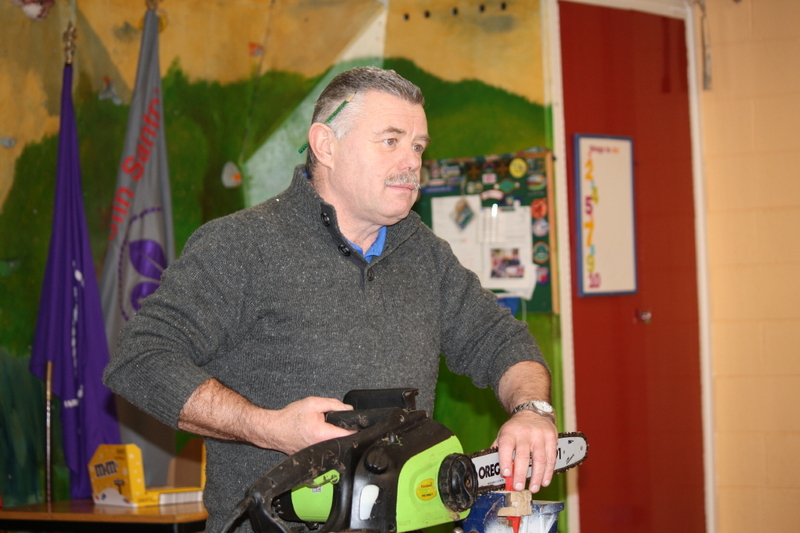 We were happy to welcome Adrian Finlay as our guest demonstrator this month, who is well known as a wood carver and turner and Adrian kicked off his demo with a very enlightening talk on chainsaws, their handling and use. With the emphases on safety he first took us through the equipment and clothing recommended for their safe use, eye and face protection, as a lot of coarse chips fly off when cutting, steel toe capped boots and Kevlar gloves and trousers or chaps. (Which the cowboys wear, I mean the John Wayne type) He then showed us how to maintain and sharpen the chains, the files he used and the angle of filing as well the type of lubricating oil recommended, which has a very high viscosity. This took us up to our break and the second half of Adrian’s demonstration was devoted to woodcarving, a great love of mine I have to say and here we have another different set of tools namely gouges and chisels of varying shapes and sizes. Unlike turning chisels which can be used straight off the grindstone these are sharpened to a very fine edge using diamond or sharpening stones and finished off with a polishing compound. As to the question of what timbers are best suited to carving this comes down to what type of carving is required and really any timber can be used. For fine detailed and decorative work lime has been preferred by most carvers through the ages as it has straight grain and short fibres and can be cut easily with hand pressure. I use American poplar, often called tulipwood for rocking horses or figures and Adrian was using mahogany in his demo for ball and claw table legs as well as hand fluting on a table lamp. 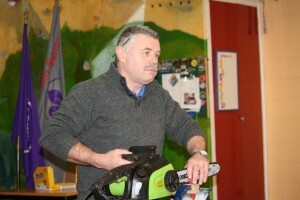 I’m sure we all came away from this meeting with ideas of combining turning with carving and we can thank Adrian for his very good and informative demonstration of his skills, thank you Adrian. It was with great sadness that we heard of the passing of one of our chapter members John Blythman over the Christmas break after a short illness. 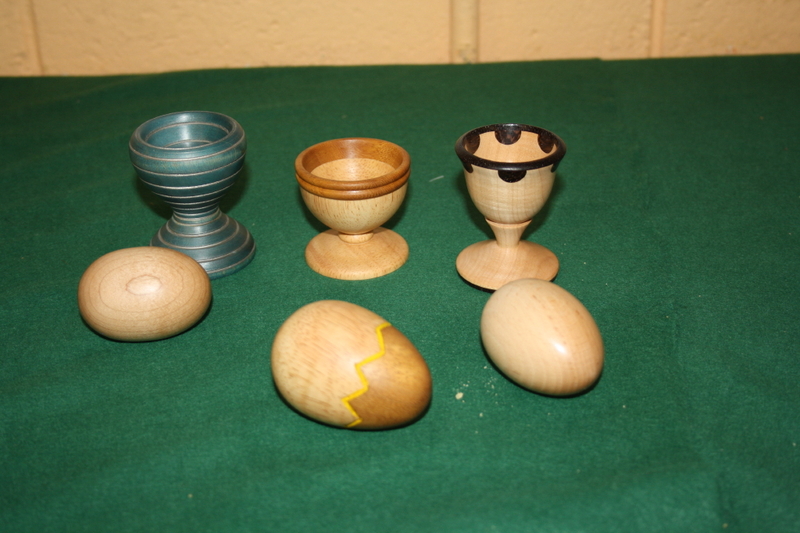 John will be remembered for revitalising the book and video library as well as entering the monthly competitions despite being new to woodturning. He took great delight in promoting woodturning whenever he could. He will be sadly missed in East Central may he rest in peace. 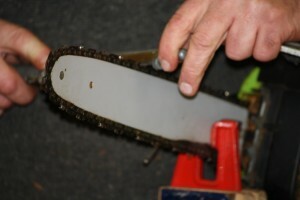 That’s all I have to report for this month, I look forward to our next meeting, keep the lathe turning and work safe.